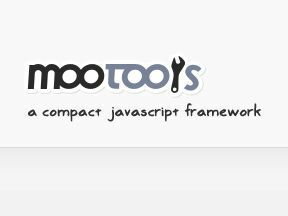 Unfortunately the guys at MooTools don't seem to offer old versions of their code for downloading. Why not offer an old version? Well, after searching high and low for a full version of v1.11, I recalled that Google host these libraries to help push their usage and in doing so help push Google's idiology. Now, the listing of the versions of old MooTools libraries should be on the page linked above. At the moment they have a link to the latest library - http://ajax.googleapis.com/ajax/libs/mootools/1.2.1/mootools.js - but if you mod the URL - http://ajax.googleapis.com/ajax/libs/mootools/1.11/mootools.js - to the right version number... Bob's your uncle! Also by grabbing it from Google you're not grabbing it from an unknown 3rd party.